Are you interested in astronomy? Maybe you want to take up this hobby to view the moon, Jupiter, and the rings of Saturn. 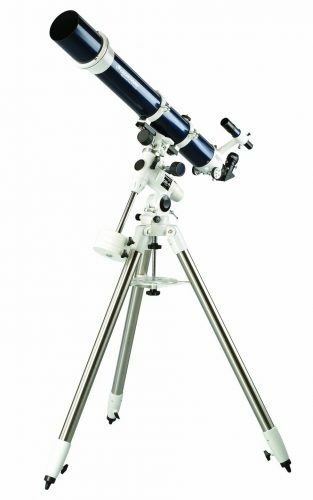 Are you fascinated by celestial objects and have a limited budget, invest in the best home telescope reviewed here. The good news is that astronomy is made easier and more accessible with these fantastic tools. 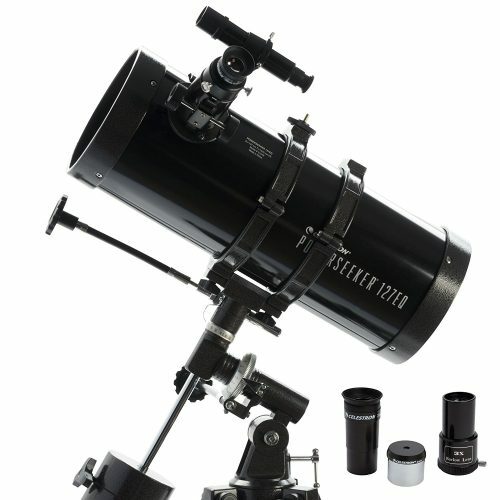 Whether you are a beginner or experienced stargazer, we have made sure there are some cool and serious telescopes on the list. 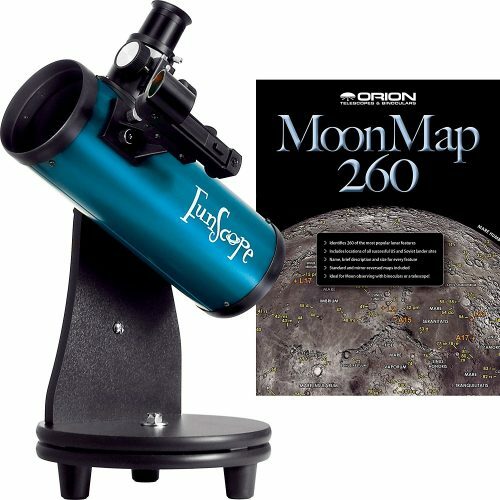 For the best home telescope for beginners or kids, you need the Orion FunScope with Moon Kit. The telescope has a tabletop design that is great to get kids started and great for the whole family to enjoy. The apparatus is small and easy to pack in for vacation. The FunScope has a powerful 76mm optic and transfers up to 60% light compared to the toy models bought at the toyshop. Included you get learning material with detailed information of distant star clusters and more. 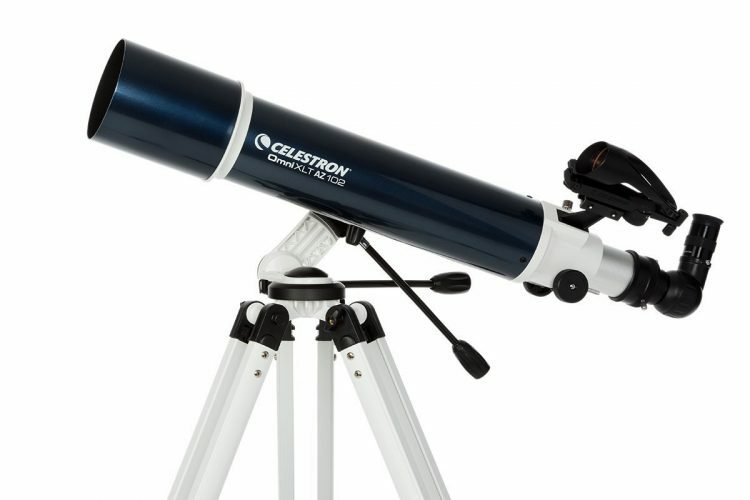 Here we have another beginner’s telescope that is ideal to use at home. 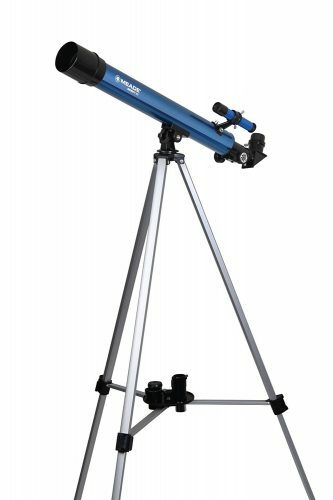 The low price of the Infinity Refractor Telescope comes with a blue design and is a good all-around device. You can view the planets and stars without making any configuration and ready to use out of the box. The Home Telescope products not made for deep space viewing and have a 50mm aperture to draw in clear images at night. The magnification settings you can change and you get astronomy software included. For the best home telescope fewer than 200 dollars, the Orion SkyScanner is a great bargain and offers you a 100mm aperture. The tabletop design has many features with a solid build. The astronomy tool has a compact design, making it portable to take anywhere for stargazing. You need no extra gadgets to view deep space objects with this product. Do you need the best home telescope in a medium price range? 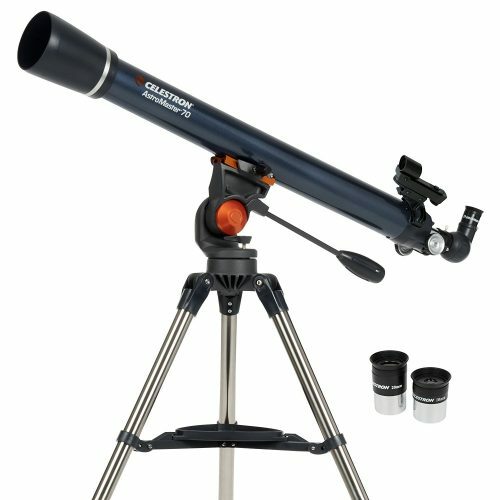 The Celestron Astromaster 70AZ is one of those models if you are looking for a Refractor Telescope. You can buy it in a 90AZ model as well, offering you more power. The durable design of the device can withstand wear and tear and has a no-tool setup. The optic weighs 18-pounds and come fully assembled. To center objects, it has a fitted StarPointer for accuracy and has a quick release dovetail mount. Bushnell does not only make the best riflescopes, they also make telescopes. The device has a medium price point and you can buy it in two versions a 60mm and 70mm one. 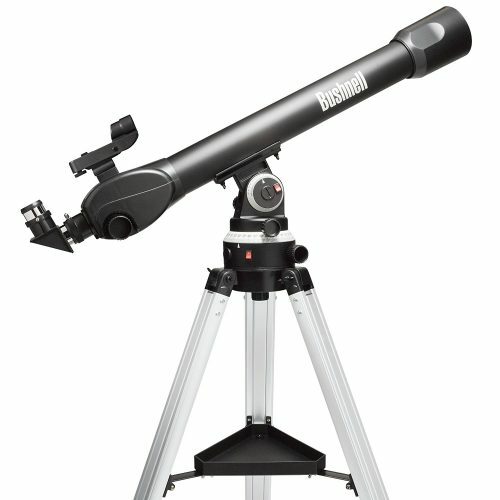 Both the Refractor Telescopes is powerful and has a professional look with fantastic features. You receive an LCD handset with the LED red dot Finderscope. Another unique function is the illuminated smart mount and makes things easier to see when used at night. The PowerSeeker is the best home telescope for the whole family to use and enjoy. The 127EQ is great for first-time astronomers and offers a fantastic combination of features, power, quality, and value. With the no tool setup you can the family can view the stars quickly and only needs to be attached to the tripod available in the box. For viewing celestial objects, the device offers you an enhanced view. 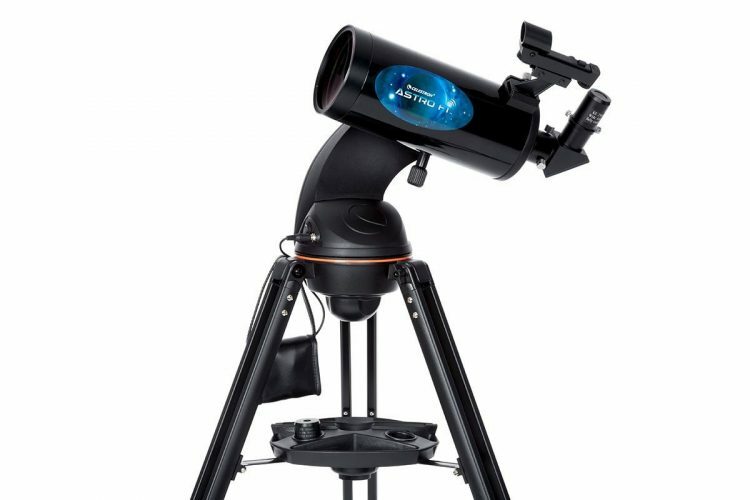 The Omni XLT AZ102 has an elegant design with an altazimuth mount. Both the axes have worm gears for easy motion when you are tracking objects. Both the axes have slip clutches for easy pointing and the tripods made of aluminum. You can use the telescope for viewing land and celestial objects. The optical surface offers you a crisp view with the fully coated finish. With the wide field of view, you can even view star clusters and galaxies. The Celestron AstroFi Maksutov-Cassegrain is one of the best home telescope you can control with your smartphone or tablet. You can download the SkyPortal app and replaces the included hand control function. The telescope automatically swerves to an object in the night sky and displays important information on the screen. With the built-in Wi-Fi connection, it automatically connects to the device. The unit calculates the position of objects and has a 102mm coated optic. 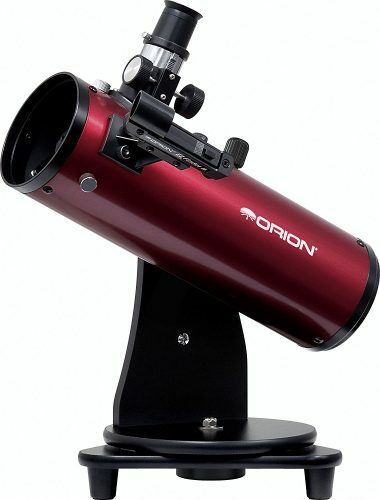 The Omni XLT 120 Telescope has a stable CG-4 mount platform and comprises high-quality optics. With the aspheric shaping technology, you get virtually no spherical aberration. The optic has a StarBright XLT coating to enhance light transmission and the optics made of hand selected grade glass. The NexStar 8 SE Telescope does not come cheap, but if you are lucky, you can get it for under a thousand. You can buy the product in different styles ranging from the 4SE, 5SE, 6SE to the 8SE model. With the Starbright XLT transmission, the Schmidt-Cassegrain Telescope offers you quality for a beginner to an expert astronomer. The unit has built-in StarPointer software and locks onto your zip code to center itself. We hope that you can find a suitable model on the best home telescope list when the time comes to pick one for yourself. Always make certain that the model you pick saves you money in the end. 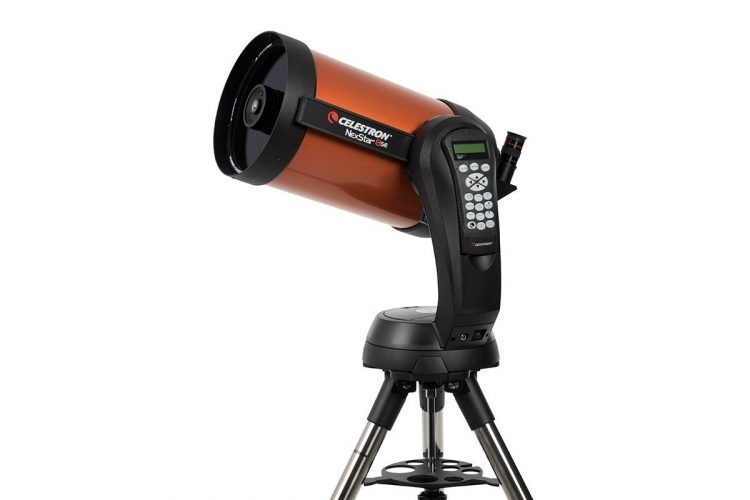 In addition, if you are in need of a specific brand designed for the beginner, Astrophotography or kids make sure to check the other home telescope reviews here.